A few months ago Kellogg's contacted me to see if I was interested in trying out a new muesli that they are launching in April. Always up for trying new things of course I said yes. Then I forgot about it for a while and was completely stumped when I came home from work a good few week's later to be greeted by a huge box waiting for me outside the door of my flat. I couldn't remember ordering anything on the internet and only when I opened the cardboard box to reveal another wooden box with the Kellogg's logo on it did start making sense. Inside the second box I found a wooden cereal bowl a spoon and four boxes of muesli. 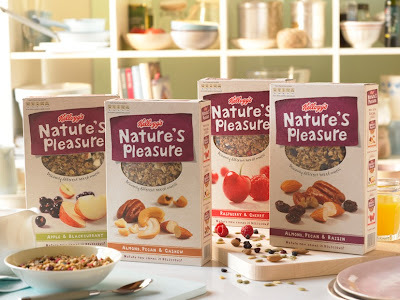 The muesli is called Kellogg's Nature's Pleasure and comes in four flavours. Apple & Blackcurrant, Almond Pecan & Cashew, Almond Pecan & Raisin and Rasperry & Cherry. Not being the most patient of all people, I tried the first flavour (Apple & Blackcurrant) straight away, and I have to say I liked what I tasted and tasting my way through the other boxes didn't disappoint either. The muesli is nice and crunchy because it is baked, full of grains, oates, nuts and/or dried fruit, it has no weird stuff added and because it is sweetened it does actually taste like a treat, unlike some of the other more 'worthy' type mueslis that don't contain sugar and sometimes taste a bit like cardboard. I have to say that the Apple and Blackcurrant flavour is definitely my favourite, probably because of the hint of cinnamon and it generally just has a really good balance of flavours, but I wouldn't say no to a bowl of any of them to start the day. I never really took a picture, so I've borrowed one from Kellog's. Time is just running like sand (and money) through my fingers at the moment. 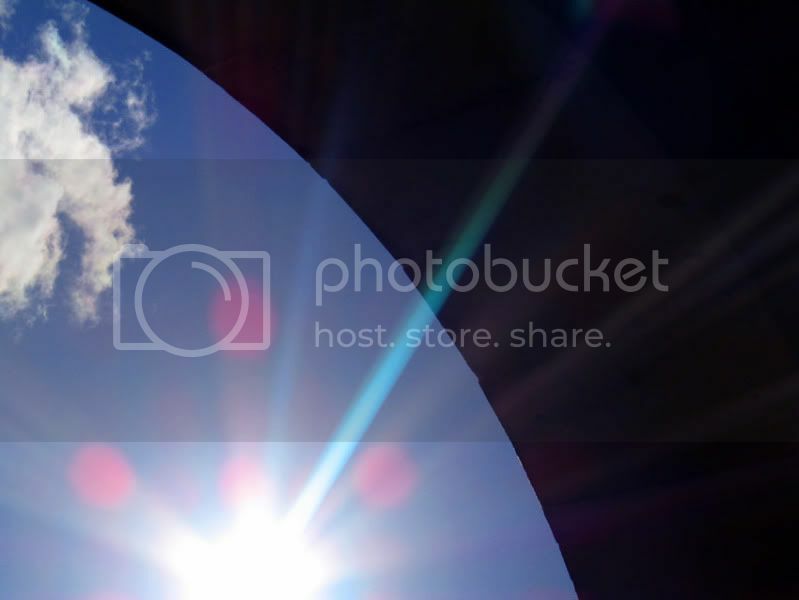 I can't believe it is nearly April and I have only written one post so far this month. The days just seem to be over before they really start. I'm so busy and when I'm not busy, I'm sleepy. But it has not been all work and no play, just not much playing in the kitchen. I've been enjoying spring. Laughing, walking and talking with friends. The Easter holidays start next week and with them come visitors that want to be cooked for, which means pictures and recipes to share. Please be patient with me until then. Not one of the prettiest dips you'll ever see, but certainly one of the best, or at least that's what I think. I'm not in much of a mood to write loads today. I was looking forward to get back into it, but I've spend all day speaking to the police and insurance companies, as my bike has been stolen again. I only just replaced the one that was stolen in November and now it's gone again. Swines. Oh well, as I said it's kind of put a bit of a damper on my mood and I can't think of anything witty or interesting to write. 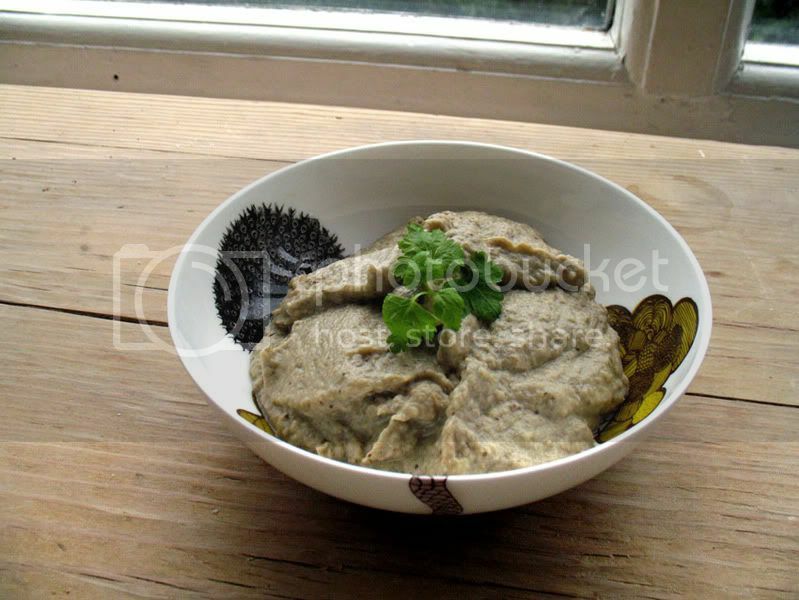 Therefore I'll just leave you with this great recipe for one of my favourite dips, perfect with warm pita. Preheat your oven to 210C/425F/Gas 7. Place the aubergines in the oven and roast for 45-60 minutes. The skin should be brown and they should be soft to the touch. When done, cut them in half and scoop the flesh into a sieve. Squeeze out any of the excess moisture. Place everything into a blender and puree until smooth. If you want an extra creamy dip stir in about 1/3 cup of yoghurt.